Anyway, today I'll be doing a review on this cute blusher Sugarball Cushion Blusher in No. 3 Daisy Coral from Aritaum. Soft and creamy texture with high pigmentation coating creates delicate and dewy look for all day long. Contains aloe vera extracts and coconut oil coating powder for long-lasting colour. Mini air cushion puff is included for easy application. Like it's name, it's a blusher that comes in cushion foundation like-case and it comes with a mini air-puff. The product label is printed on top with the word 'CUSHION' is printed in golden colour. This is too differentiate between this and its sister product, a VELVET version. As this is product that directly being sourced from Seoul, all the description of the product are printed in Hangul but if you zoom in closely, from top to bottom; there's the manufacturing date (2015.09.24), Aritaum Sugarball Cushion Blusher, No. 3 Daisy Coral. Manufactured by Amorepacific. It's Made in Korea. The product is sealed with a plastic band like that so make sure yours is sealed as I once bought a product without one only to find out from a review by another beauty blogger that mine is definitely unsealed before it reached my doorstep. As you probably already know, that's how it looks like. To me, any face product with a mirror is definitely a plus. The transparent plastic lid is also a convenient factor as it separates the air-puff from the product. The air-puff is exactly like any air-puff from AmorePacific company like Laneige, Innisfree, and Etude House (the ones that I personally have). 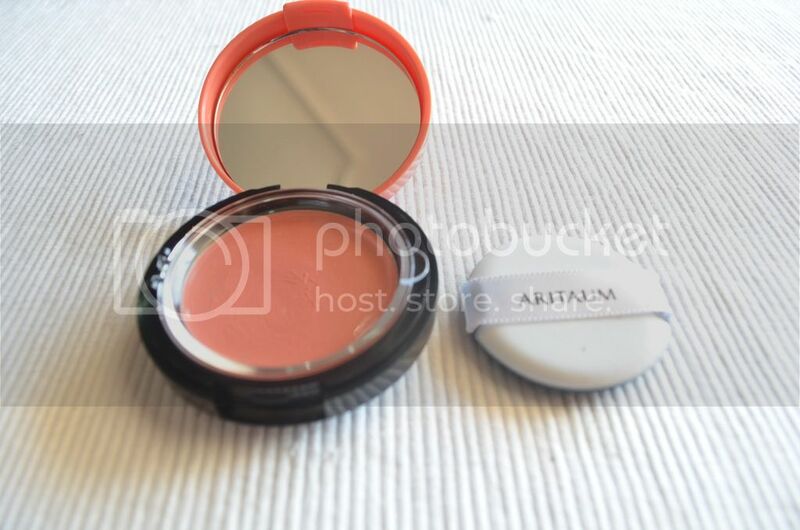 The blusher is in a peachy coral colour. 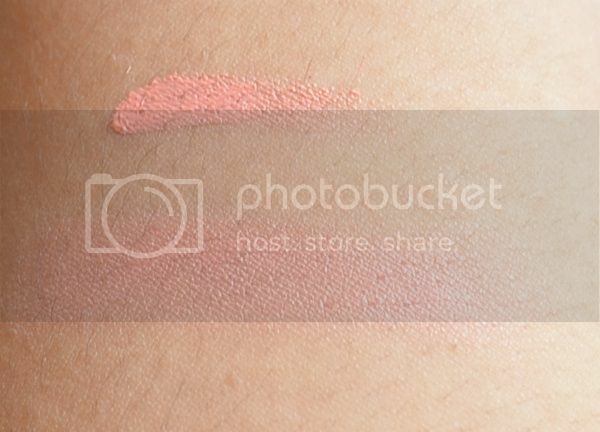 The bottom swatch is when the product is blended using finger. Definitely a pretty shade for warm-toned skin. Now, on the left cheek is without blusher while on the right cheek is applied with the blusher. Excuse my camera quality but I think you can still see the blushed area. Looks so natural and the finishing is quite smooth. I don't feel tacky or anything like that. It's definitely buildable I think so if you want more colour, tap the air-puff 2 to 3 times to get more colour and just lightly tap on your cheeks. By the way, I'm wearing Laneige BB Cushion Pore Control in No. 31 underneath. As I had the blusher (the whole look basically) for about 6 hours, I can still see the pretty coral blush so I guess it's quite long-lasting (thanks to the coconut oil) but re-applying is such an easy task and the small compact size can surely fit my makeup bag. Overall, I do like this type of blush! It's creamy texture makes it easy to blend out and to control the amount of blush that goes on your cheeks. I have to say that the colour really does look natural though it might appear looks a little bit pinkish but I do think that's the kind of look you wanna go for during Springtime. Final verdict: 5/5. I do find the product design is simple which is my thing as I love minimalist style and the packaging is cute I guess. :) It's long lasting, the shade is pretty and natural looking plus it's quite affordable as well. Definitely gonna get the 4th shade in Juicy Peach after this. This is retailed at around KRW8,000 but to Malaysian readers out there you can get this product from Major B at only RM31. So that's all from me. I hope enjoy reading this post and find it helpful. Disclaimer: Links provided here merely for your convenience. It's not an affiliate link. Thank you!